~PAPER DOLL EVE~: Ruffle Bootie With Pearls To Color. Ruffle Bootie With Pearls To Color. Love pearls? I'd like to see pearl strings on my heel. Specially since I don't love them on my neck. Please dear friends let me know how I can have my own shoes made. I usually don't wear hot shoes like this one but how could I draw anything less Spectacular? 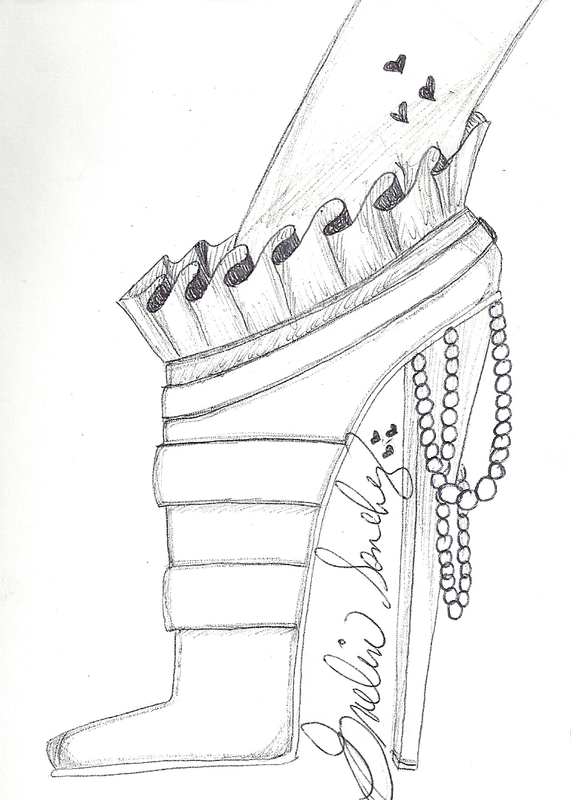 Please download, color this shoe and upload it to my Facebook page. But if you'd like to see other colors, I'd like to see what you can do. Gorgeous Lace Up Bootie To Color. This is an original design. Please do not share without linking back. Do not copy or change this drawing in any way. Thank you.